For the contractor this is not just another chore to add to the list of record keeping duties. So what will principal contractors get out of this? Surprisingly, quite a lot! This is the message according to the research on the actual findings of the voluntary users of SWMPs. The early adopters of SWMPs found that by placing additional thought and energy into assessing their waste arisings from each project, they could save money. These savings occur when re-using, minimising, and even innovating new uses for their project generated waste. Through SWMPs it has been possible to reduce disposal, and make significant savings in costs. For contracts valued at above £250,000 these benefits were found to easily exceed the cost of producing and maintaining the SWMP. We have compiled a 3.5 minute video (also available on YouTube), which you should watch by clicking on the image below. It explains the ‘9 Easy Steps to Prepare a SWMP’. We recommend that you watch it now. 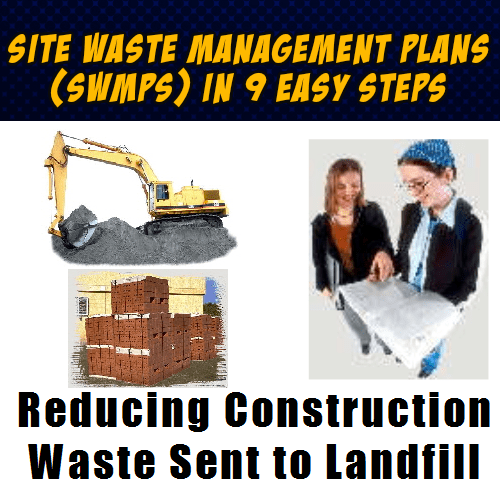 This article was originally created about “How to Comply with the Site Waste Management Plan” requirements in the UK when for a period after their introduction they were a legal requirement, for all large construction sites. Production of SWMPs, in the UK is purely voluntary. Just to be clear who needs to produce and maintain the SWMP is not something I am going to discuss. It is explained on the official web sites. Now here is the step by step guidance based upon guidance issued originally by DTI (now BERR). Step 1 – Identify who is responsible for producing the SWMP and ensuring that it is followed. Every SWMP should include details of the person who drafted it, the person in charge of the project and (if one has been appointed) the contractor’s identity. If there is more than one contractor, details of the principal contractor should be included. Keep the SWMP is either in the site office or, if there is no site office, on site. The reasons for this is that it can be referred to by the site staff, implemented and updated when site circumstances change. Step 2 – Identify the different types and quantities of waste that will be produced by the project at all stages. Step 3 – Identify the waste management options and note any changes in the design and materials specification that seek to minimize this waste. Step 4 – Consider how to re-use, recycle or recover the different wastes produced by the project. Step 5 – Identify waste management sites and contractors for all wastes that require the companies to demonstrate that they are complying with the Duty of Care regime and recording the quantities of waste transported from site for disposal. Step 6 – Implement and carry out any necessary training of internal and external staff to ensure that everyone understands the requirements of the SWMP. Step 7 – Plan for efficient materials and waste handling, and do this early enough bearing in mind any constraints imposed by the site and its location. The Solid Waste Management Plan must also describe the construction techniques used on the site and its location. record decisions made before the SWMP was drafted on the nature of the project, its design, construction method or materials employed. Step 8 – Measure the quantity and type of waste produced comparing these against the SWMP to ensure that the wastes are properly managed and lessons learned for next time a SWMP is produced. identity of the waste management contractor removing the waste. ensure that work has progressed in accordance with the plan. Step 9 – Monitor the implementation of the SWMP to ensure that it is being followed and be prepared to update plans if circumstances change. And as part of the process, don’t forget to review success of the SWMP at the end of the project, identifying learning points for future reference. These steps are not a legal requirement, but it makes sense to do them all. The results of so many contractors in the past have been profitable. When these plans were brought in it was hoped that they would will assist the government in its determination to find ways to control the scourge of fly-tipping. The regulation which made them compulsory was to mean that SWMPs would have to be produced as evidence that the waste producer, in this case normally the principal contractor, was compliant with their duty of care. The Waste Duty of Care, was thought to be enough to ensure proper responsible disposal of the materials leaving construction sites under their control. Experience has shown that for the intentionally dishonest fly-tipper, this was not a significant deterrent.e. 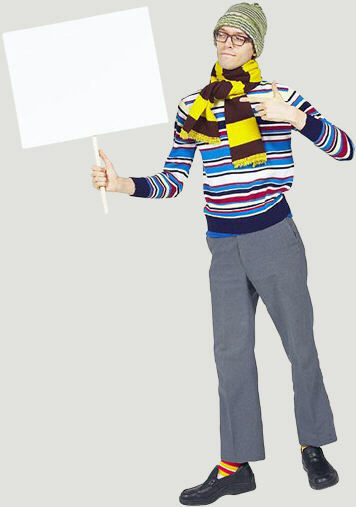 then do contact me via the contact page here, and I will put you in touch with experienced experts. Waste Managers, Site Managers and Environmental Managers will understand exactly what waste materials are being generated from project level, up through the corporate hierarchy to overall company level. With the information provided by SmartWaste these can then be targeted and reduced, resulting in environmental benefits as well as major cost savings. In recent years, construction industry awareness of disposal and reuse issues has been recognized to reduce volumes of construction and demolition waste disposed in landfills. Many opportunities exist for the beneficial reduction and recovery of materials that would otherwise be destined for disposal as waste. Construction industry professionals and building owners can educate and be educated about issues such as beneficial reuse, effective strategies for identification and separation of wastes, and economically viable means of promoting environmentally and socially appropriate means of reducing total waste disposed. Organizations and governments can assume stewardship responsibilities for the orderly, reasonable, and effective disposal of building-related waste. Plus, promotion of public and industry awareness of disposal issues, and providing stable business-friendly environments for collecting, processing, and repurposing of wastes. However, all waste produced can also present a real safety hazard to workers on site if it is not properly managed throughout the project. How wastes streams produced during building work need to be managed in a timely and effective way. Plus, “Who” – is responsible for collecting and disposal of specific wastes produced on site. Problems often arise when company and individual duties are not made clear before work starts.